The marked points on the map above are those recorded by my SPOT personal GPS messenger unit. 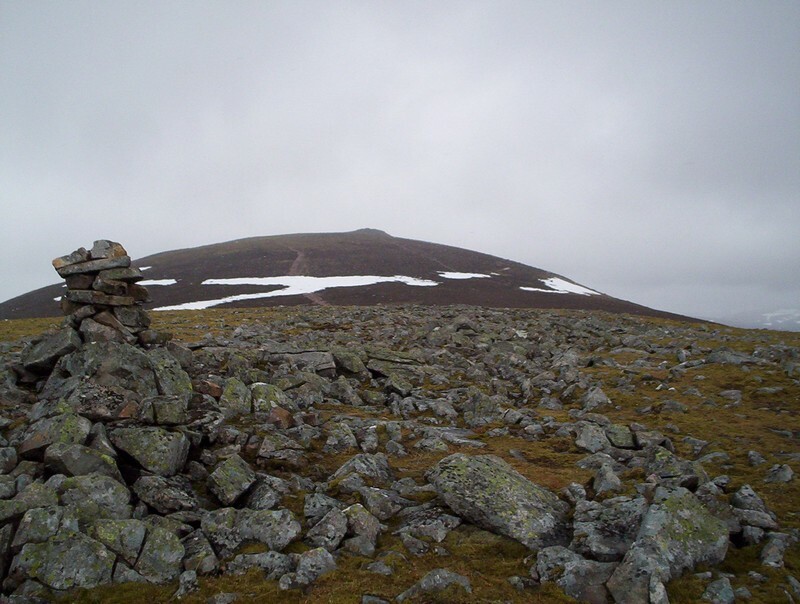 Beinn Dearg wasn't one of the hills on my list to climb in 2010. However, a combination of circumstances propelled it, and Ben Chonzie, into favourites for the May Day Bank holiday. 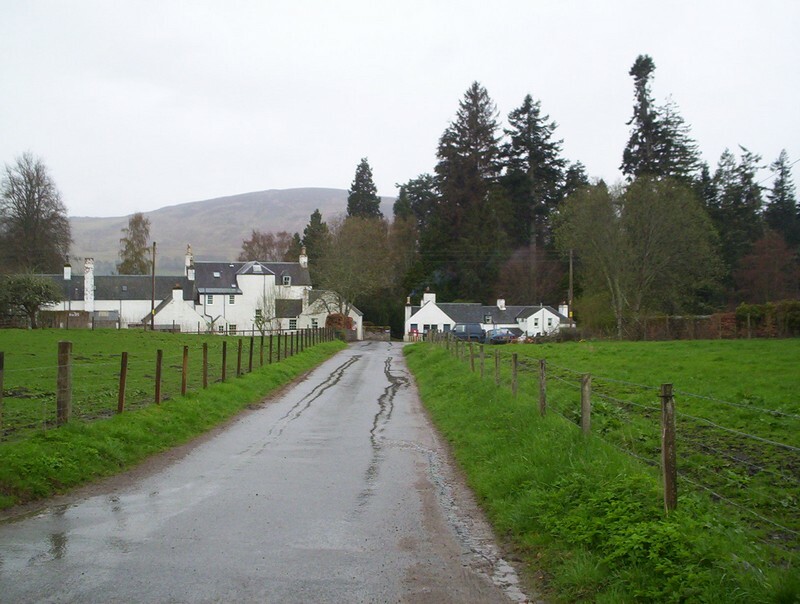 The hotel at Dalwhinnie was closed due to flooding. I'd been having problems with my hand as a result of a trapped nerve and didn't want anything to strenuous where I might need to do any hand work or use my trekking poles extensively. The weather forecast and the amount of snow remaining made me cautious particularly as a result of my hand problems. 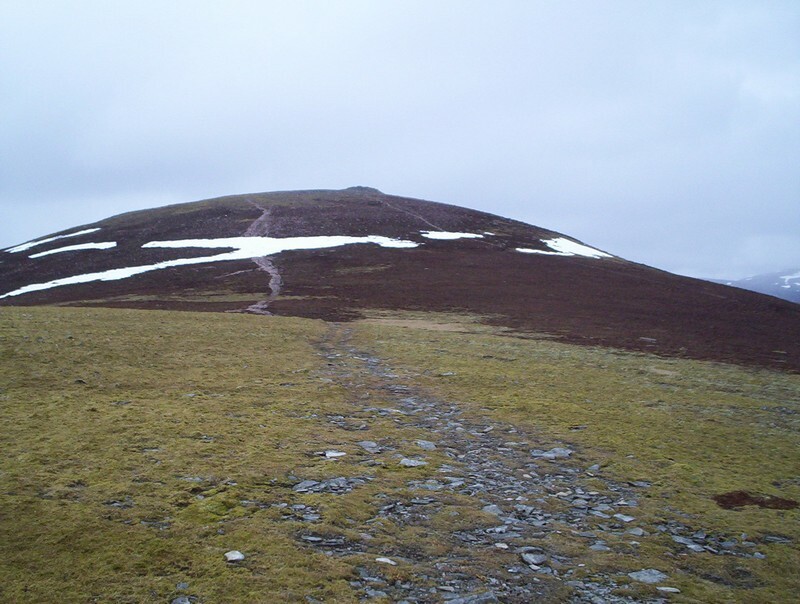 I'd intended to climb Ben Chonzie in March but a threatened rail strike and heavy snowfall led me to cancel that trip to Scotland. 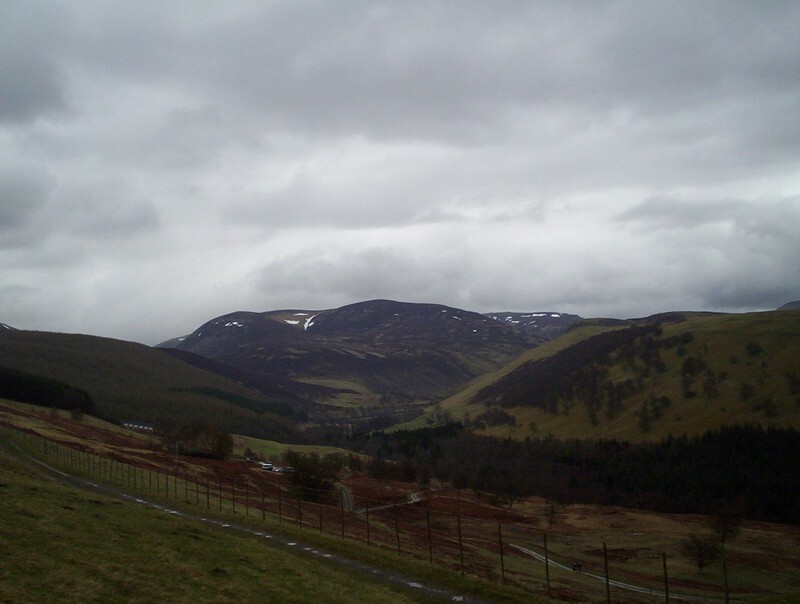 So the plan for the weekend revolved around staying in Perth and using the train to reach Blair Atholl and the bus to Crieff. 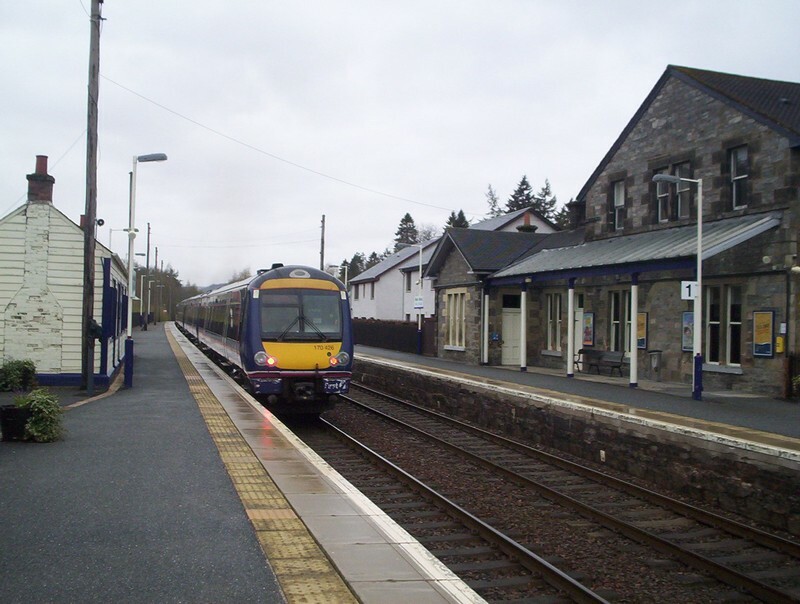 The early train got me into Blair Atholl for nine o'clock. 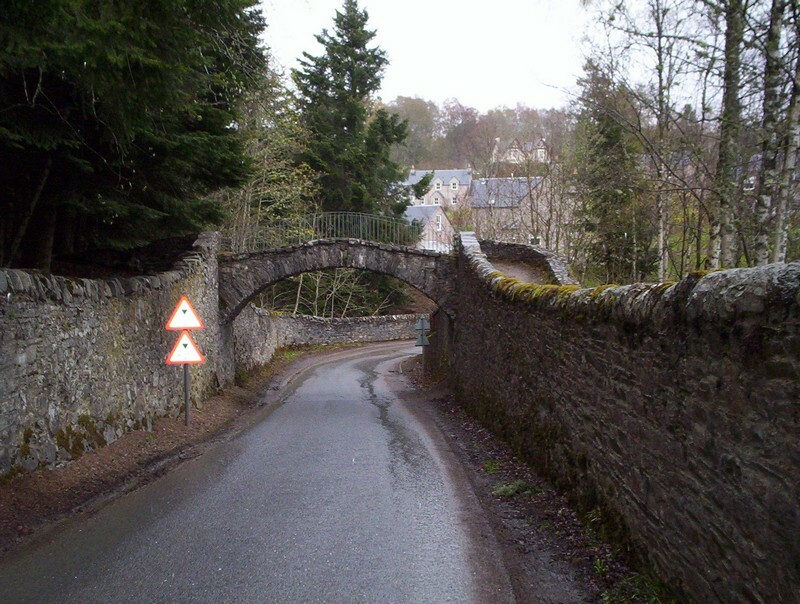 After the walk through Blair Atholl and Old Bridge of Tilt the walk proper starts at this junction at Old Blair. Eventually, the open more is reached, with this photo taken from the top of the stile over the deer fence. 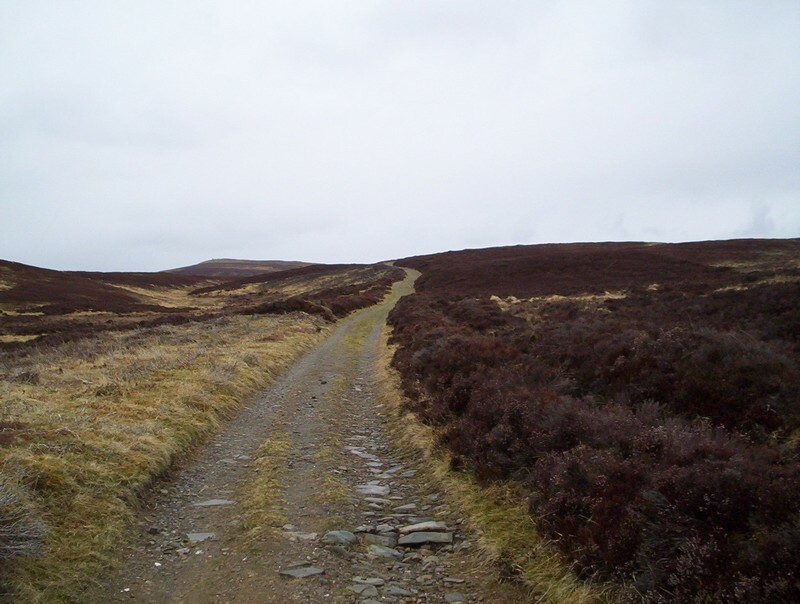 .....and continues onwards and upwards for several miles making for easy and fast walking. 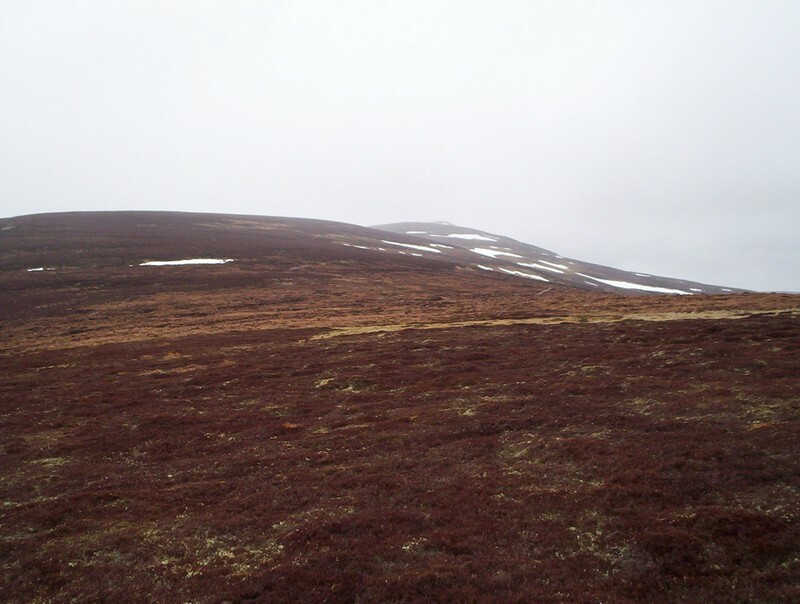 Eventually, Bienn Dearg with plenty of snow patches still left. 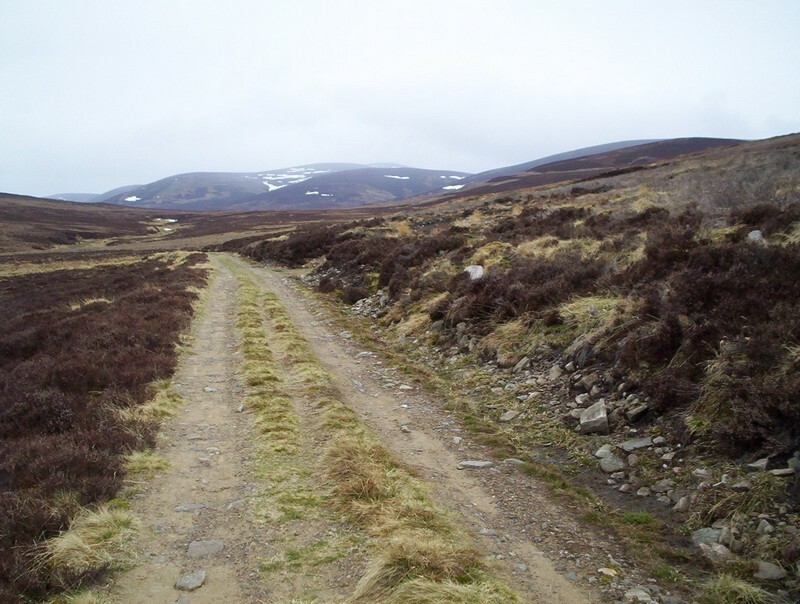 The track now starts to descend slightly into Glen Bruar. 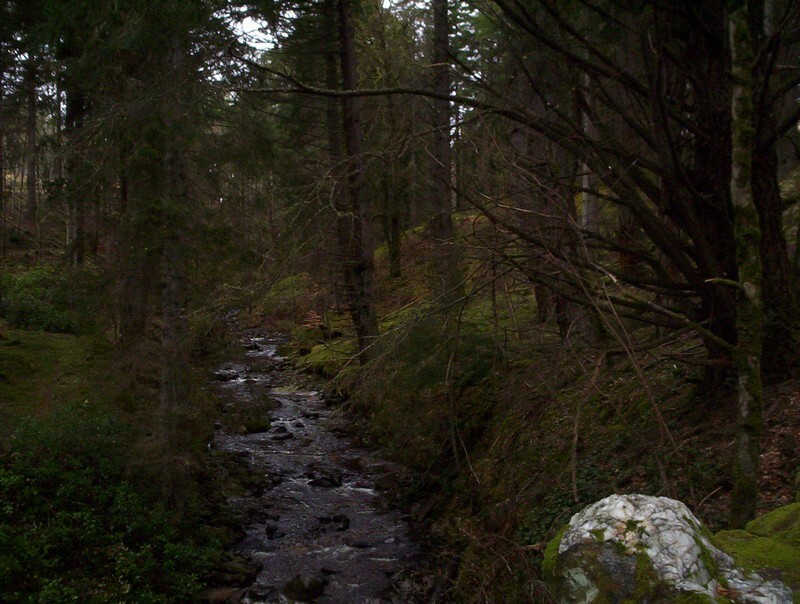 ....whilst interesting geological features of river erosion in glaciated areas can be seen as the Bruar Water meanders downstream. 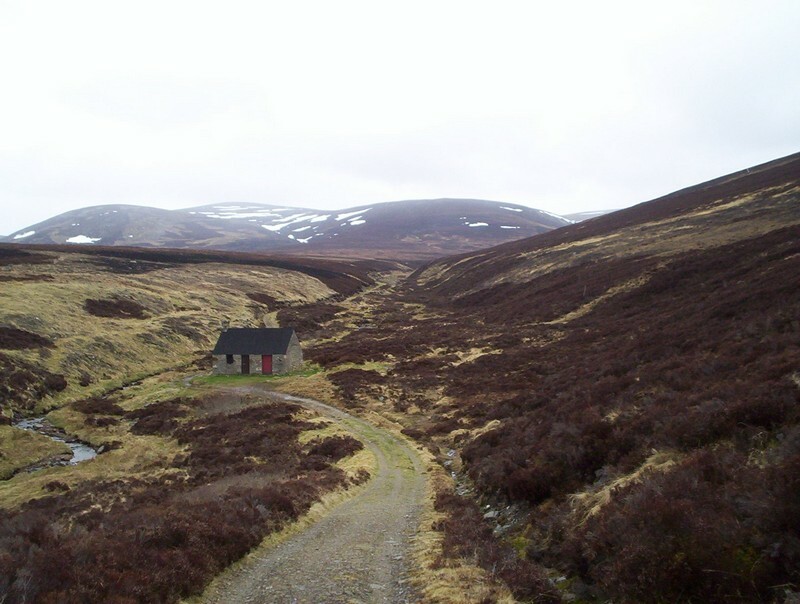 One of the "highlights" of this walk has to be the Allt Sheicheachan bothy set in this sheltered spot by the burn. 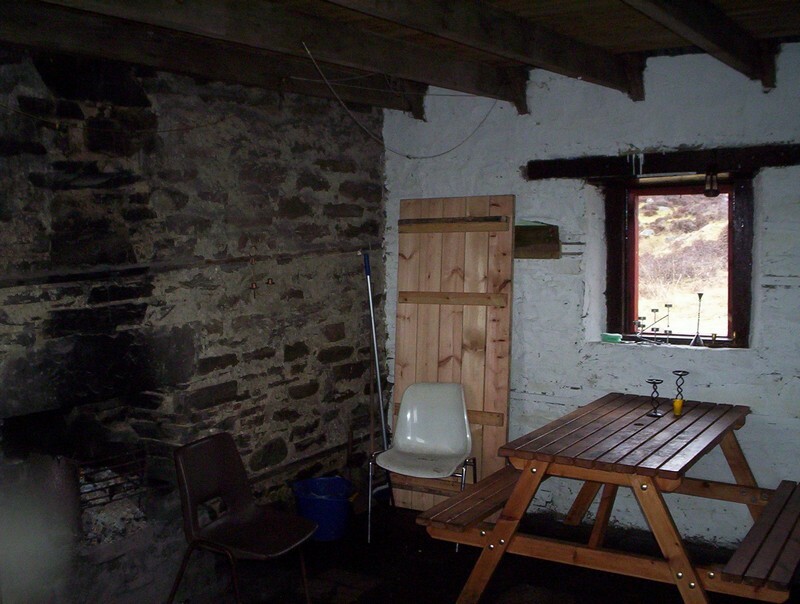 It was pleasant to sit down out of the wind to eat my lunch and to admire the beautifully kept bothy. 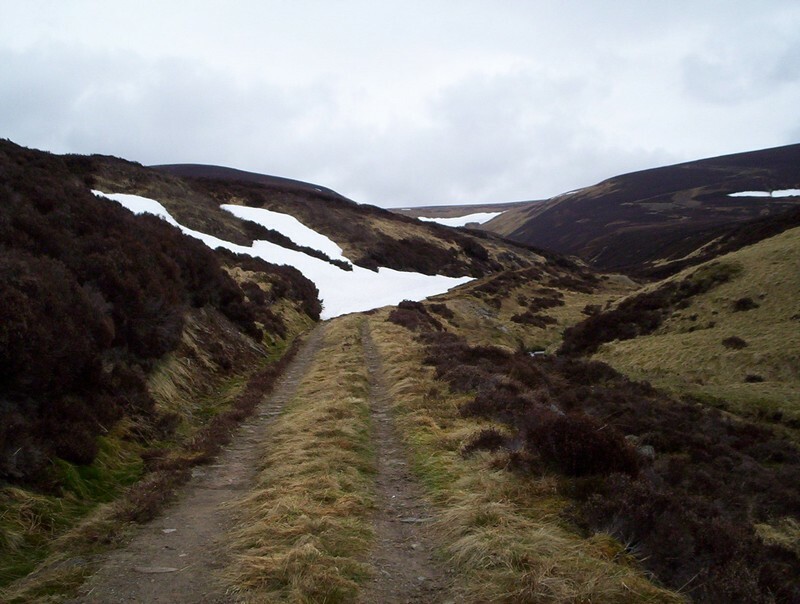 After writing a comment in the bothy book I headed off up the burn side. The track continues up the side valley, still partly covered in snow. At the head of the valley on the saddle between Beinn Dearg and Beinn a Chait there's further evidence of the recent heavy snowfall. 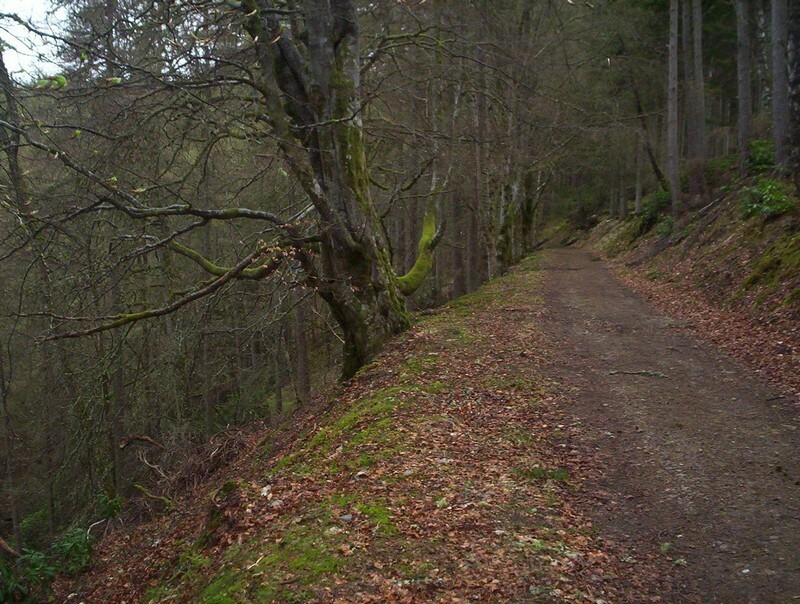 The stalkers path to the hill can be seen going diagonal;ly up the hillside. The main track now crosses over the stream and heads back towards Blair. More about this later. 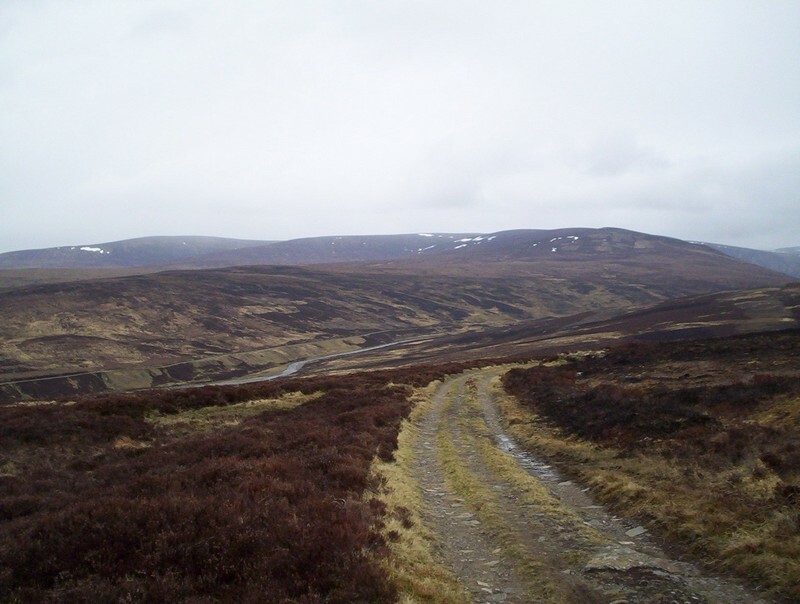 Looking back from the first of the zig-zags of the stalkers path. 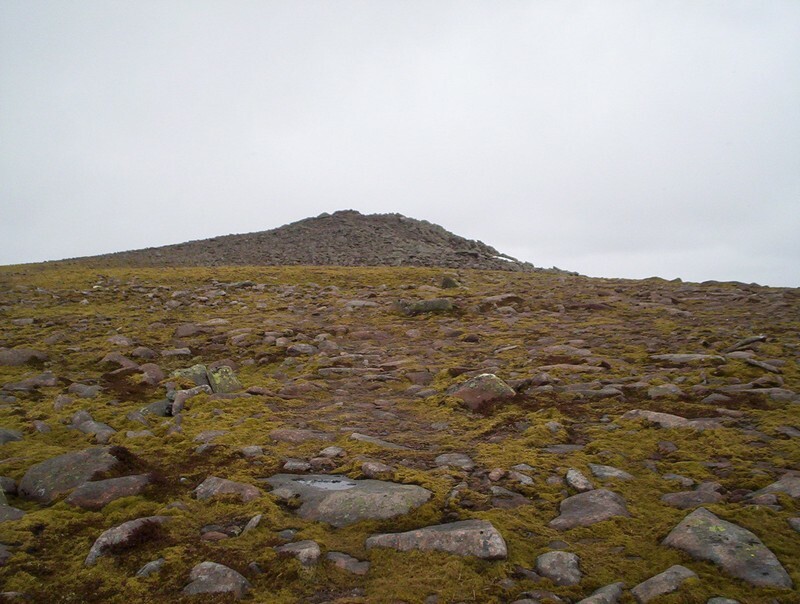 Click on the photo to see a larger size image of the panorama from the slopes of Meall Dubh nan Dearcag. What a desolate scene it is. 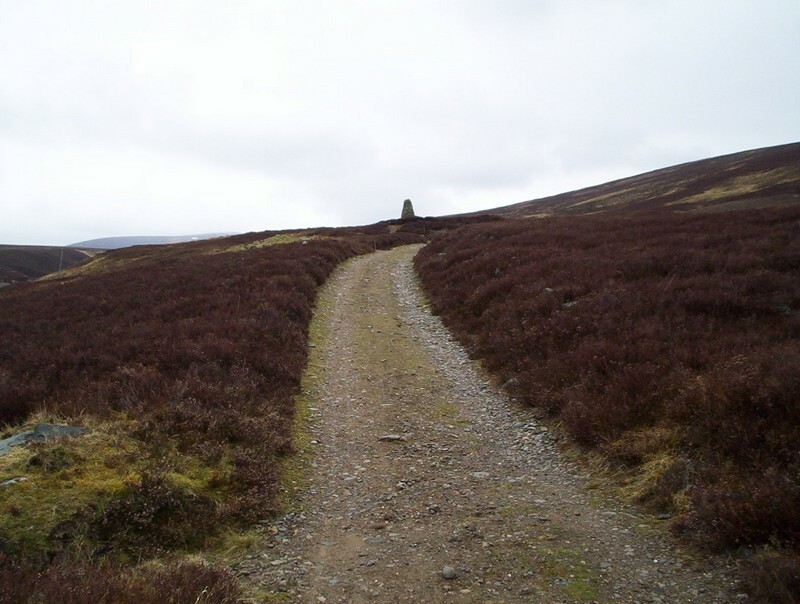 The climb is a relatively easy one with a track evident most of the way up, although it doesn't always go where the OS map suggests!! 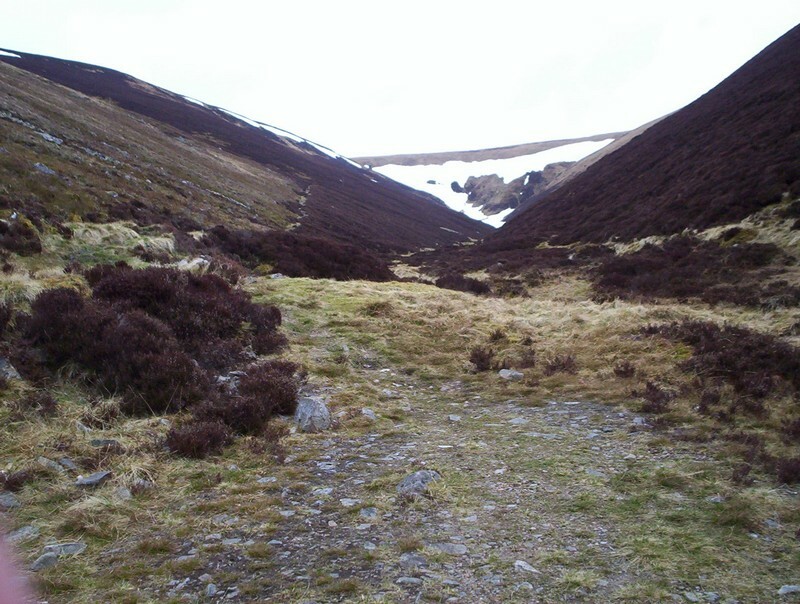 The very clear path marches straight undernath that snow but, being cautious, I skirted around the white stuff. The snowy dome of Beinn Dearg comes into view. 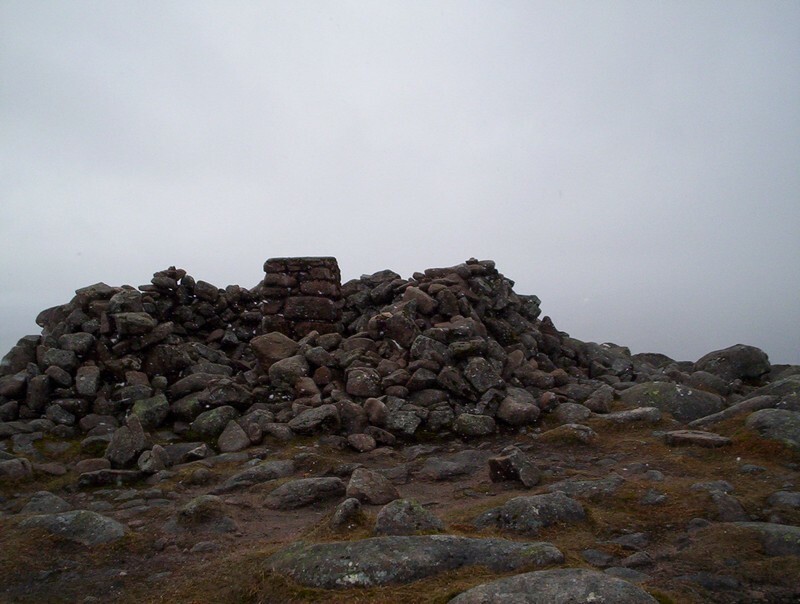 The summit has a trig point enclosed inside this wind shelter. 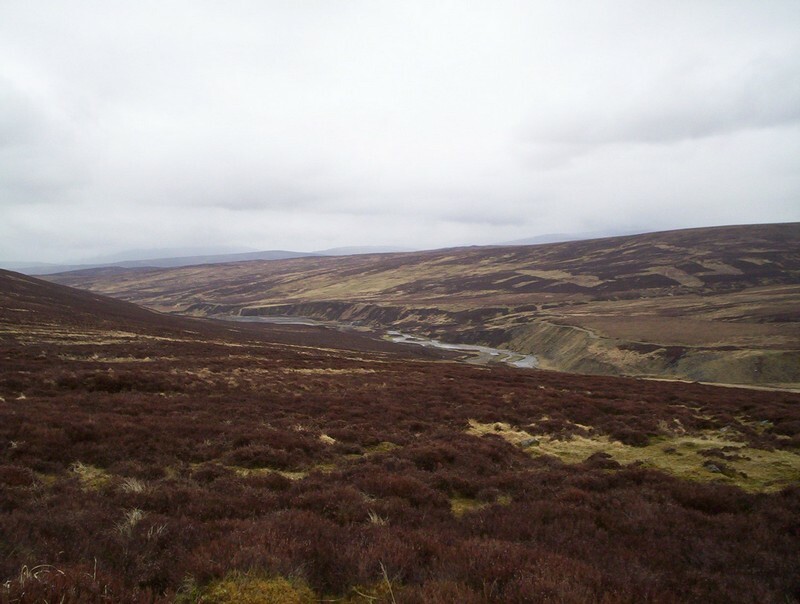 Click on the photo to see a larger panorama of the view from the North round to the East. Conditions were bleak to say the least but there's a stark beauty for all that. 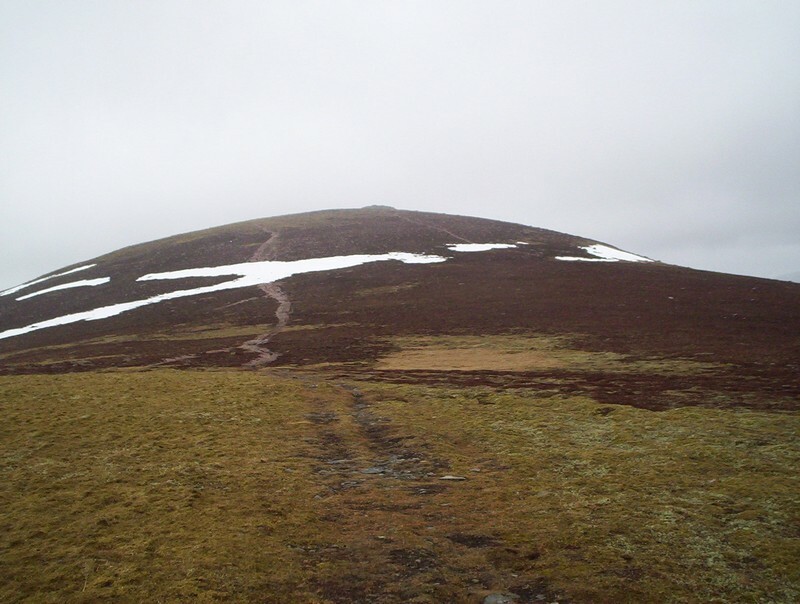 As so often happens conditions appeared to improve as I set off down the hill so here's another look back to the summit. 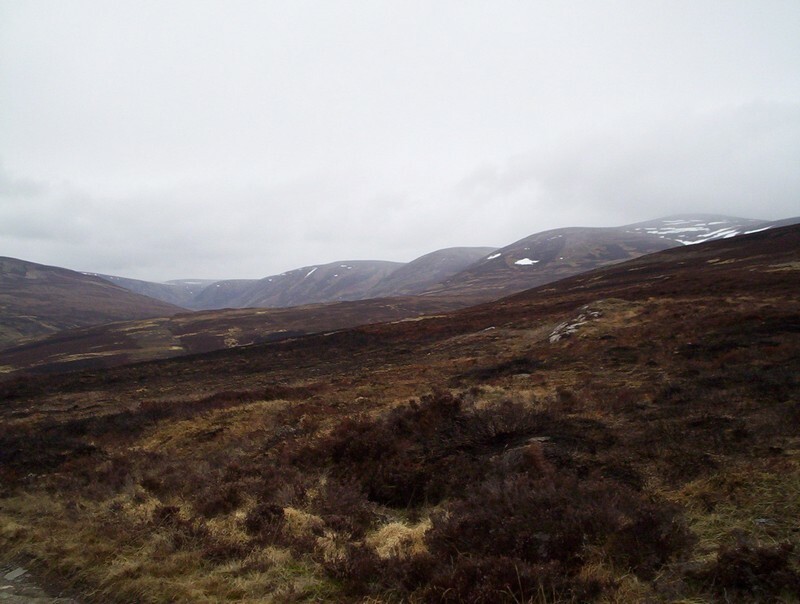 Click on the photo to see the view down into Glen Bruar. 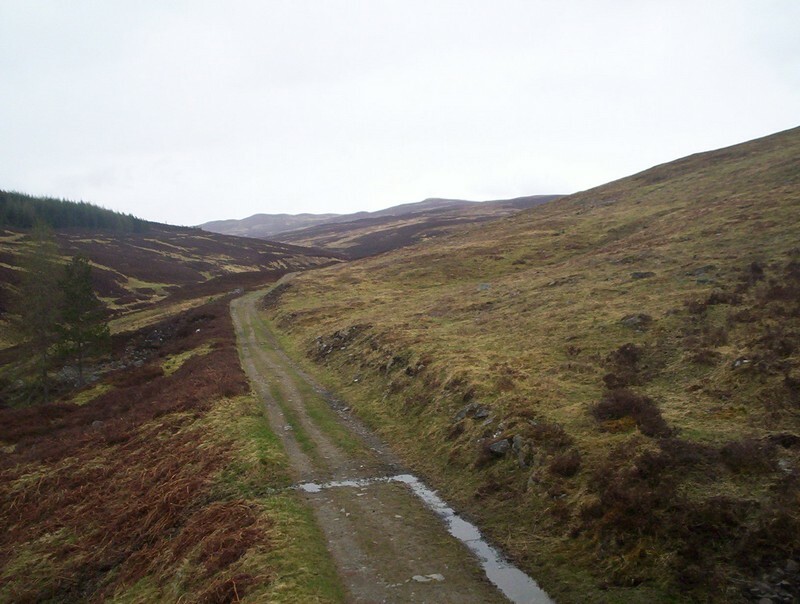 Having returned to the burn at the foot of the hill there's a choic of routes back to Blair Atholl. 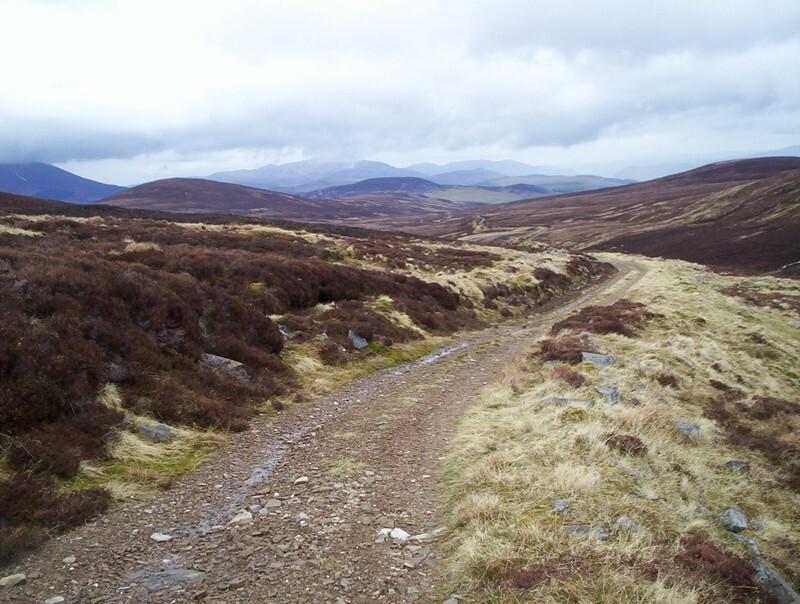 The first is to return via the bothy, whilst the second is along a new vehicle track (not shown on all OS maps) which joins onto the existing track by the Allt Stanaidh. This gives a slightly more pleasant walk back. 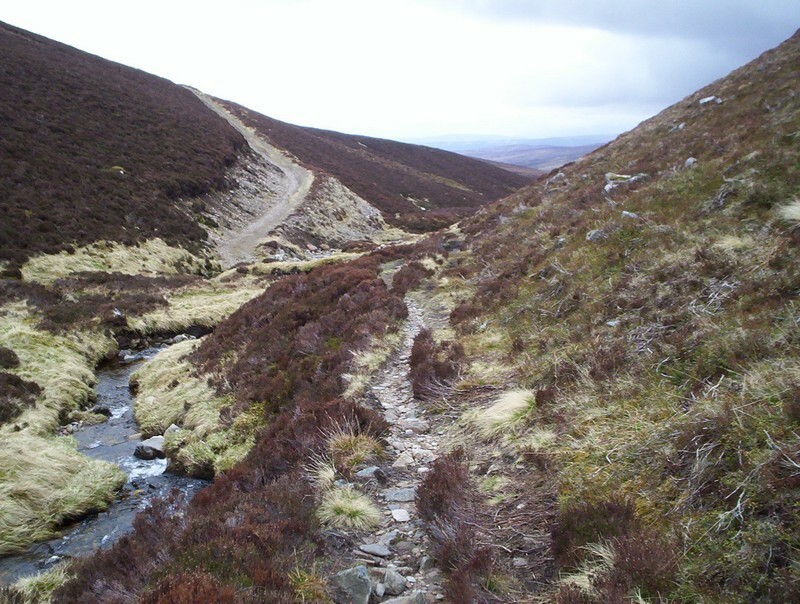 However, it does involve about six burn crossings, compared to one on the route via the bothy so, if the burns are in spate the outward route might be better. 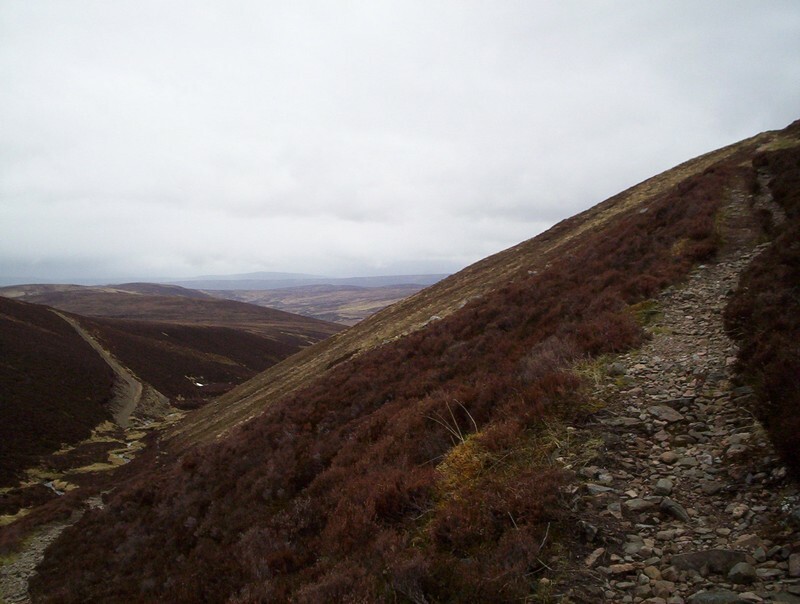 The new track winds attractively downhill with good views. On the approach to Glen Tilt the track drops down into woods. If the fire range is in operation, as it was on the day I did this walk, your peace will be shattered! 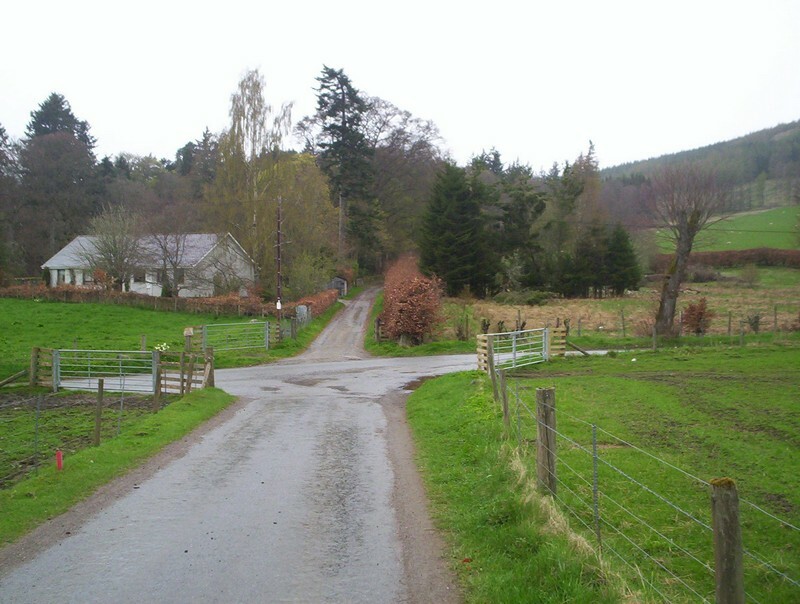 After wa walk along paved lanes this is back at the start at Old Blair. The curious footbridge bridge over the road near the Old Bridge of Tilt. 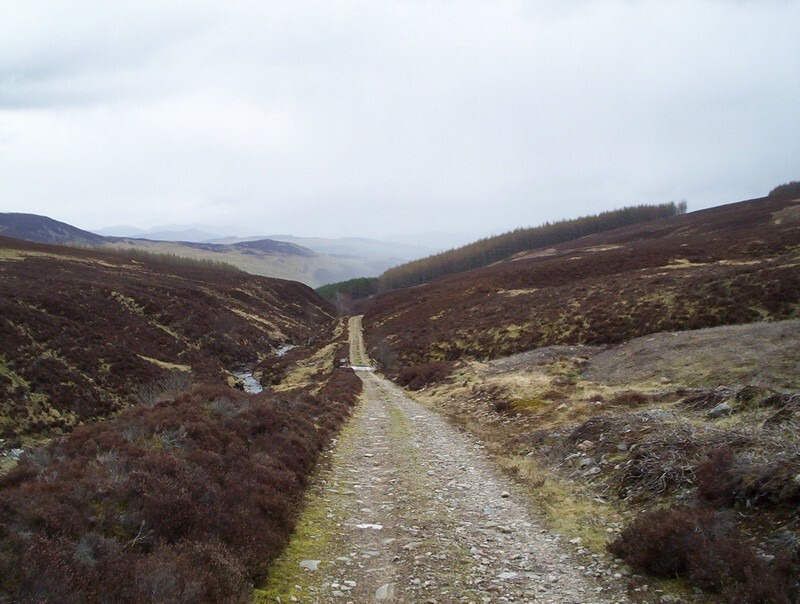 It's a long walk out to Beinn Dearg - 20 miles return from the station - but despite that a relatively easy one and for those who like to get out into really bleak country an enjoyable one.